Join us to Celebrate our 15th and FINAL Celebrate Life Fun Run/Walk! To make the 15th Annual and FINAL Celebrate Life Fun Run/Walk our most successful event to date, we ask you to sponsor this important community event. 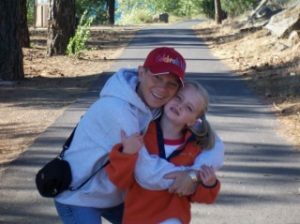 With your generous support, Jenny’s dream of helping others will continue into the future. THIS MAY BE OUR FINAL WALK, BUT NOT OUR FINAL EVENT TO CONTINUE JENNY’S DREAM! Sponsor online using the forms below. Payment is made through the secure Paypal Portal. 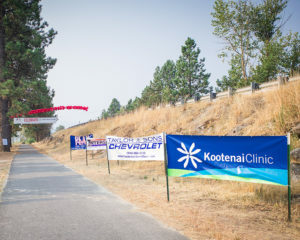 You can always donate, at any amount, year round to help those in Sandpoint and surrounding communities who are battling cancer. 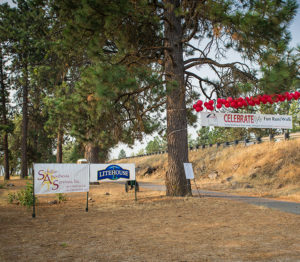 Celebrate someone special with a Walkway Celebration Sign that you may take home after the event. All Donations processed through PayPal for Non Profits. You will be redirected to their safe secure site for Credit Card Processing. 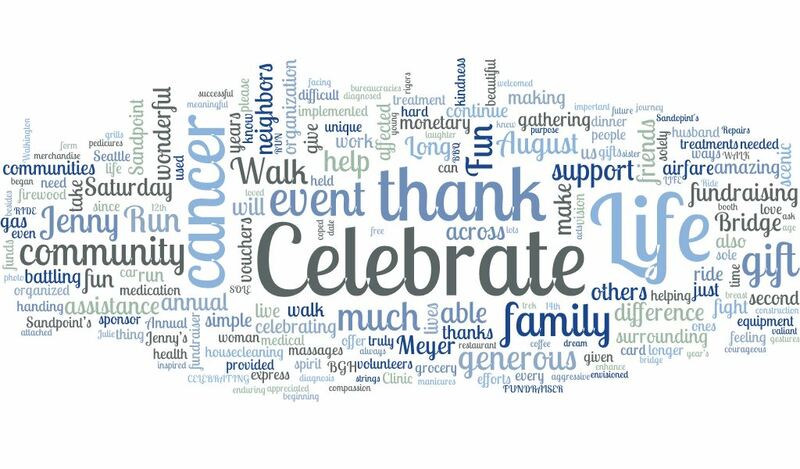 Thank you for supporting those in our community with cancer.